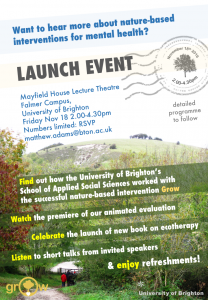 Would you like to hear more about how Matt Adams and Julie Morgan have been working with a local nature-based intervention (Grow) for people with experiences of psychological distress, and the mixed methods evaluation we produced? Watch our short animation about Grow and our work with them? and, most importantly, a carefully curated selection of refreshments available. 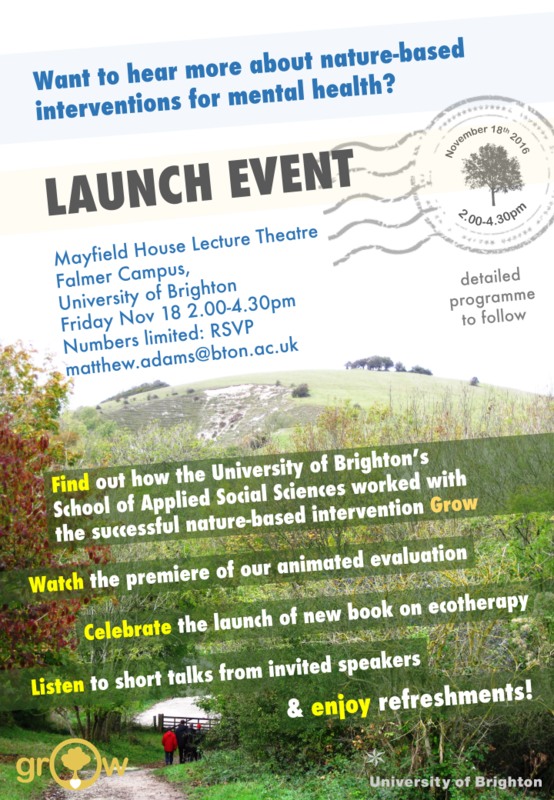 Friday November 18th, 2-4.30, Mayfield House Lecture Theatre.